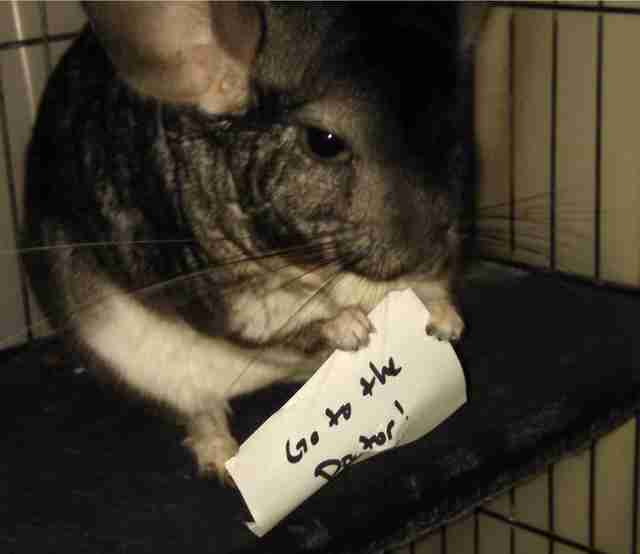 We all need a little encouragement sometimes, whether that means a pat on the back, a few words of support or ... a chubby gray chinchilla holding an inspiring sign. 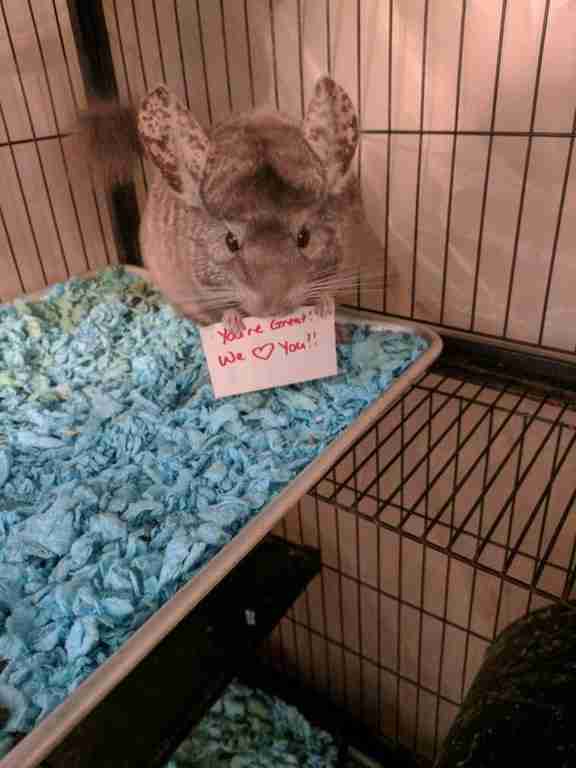 Rescue chinchillas Ari and John will do anything for their mom, including toting around note cards with sweet messages — and the two velvety rodents don’t seem to mind at all. 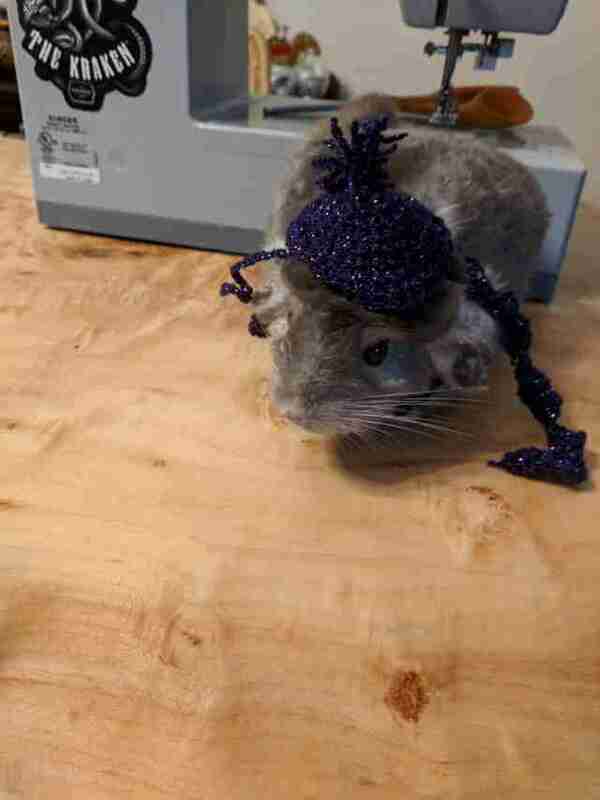 A chinchilla was not the first animal that came to mind when Walker and her wife started looking into adopting a pet four years ago. 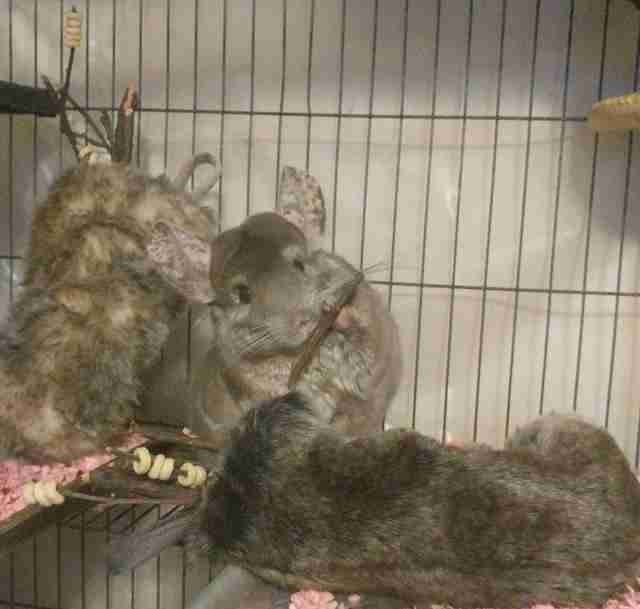 When they discovered that their building was not dog- or cat-friendly, Walker, who loves rodents, began looking for alternative animals in their neighborhood who needed to be rescued — and chinchillas were at the top of the list. Ari’s habit of standing sentry while holding objects got put to good use when Walker started sending pictures of him clutching little signs to her wife, Jess, when she was at work or having a bad day — putting an instant smile on everyone’s face. The picture certainly got the message across. 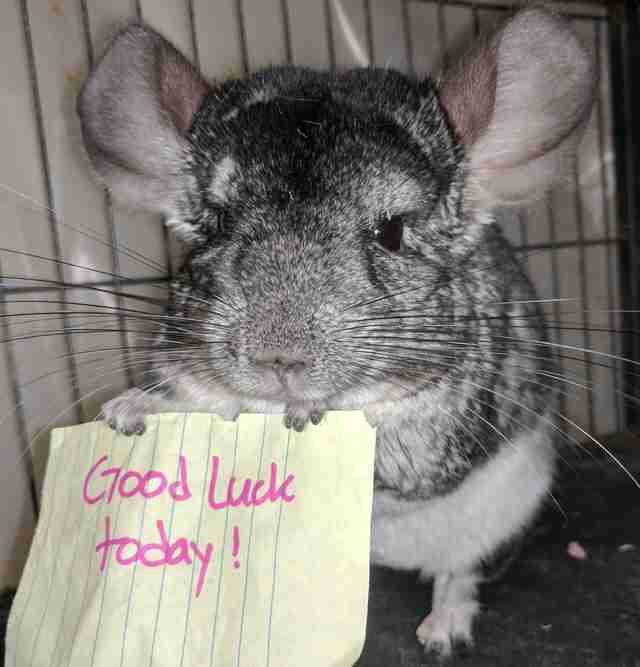 Walker, who teaches a university lab course, has recently taken the motivational signs one step further, sending supportive pictures to her students before they go on important interviews. Knowing that their teacher — and her chinchillas — believes in them makes all the difference. 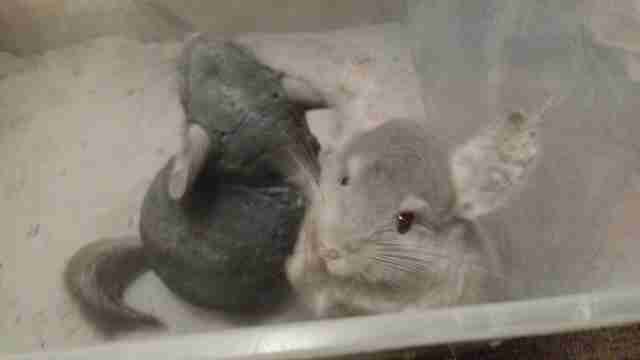 While both chinchillas will help out their mom, one is certainly more skilled than the other. 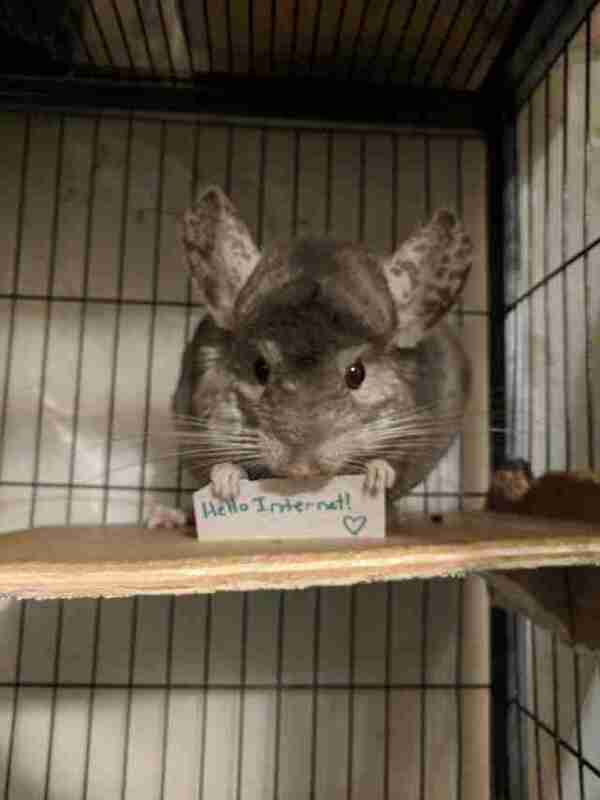 Thinking of adopting a chinchilla in need? Find a rescue organization in your area.